The Redcopters team understands the needs of film-makers, and the demands and constraints under which they work. 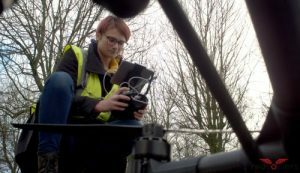 Our role is to provide the expertise and facilities for aerial footage while working seamlessly with the film maker and their team. 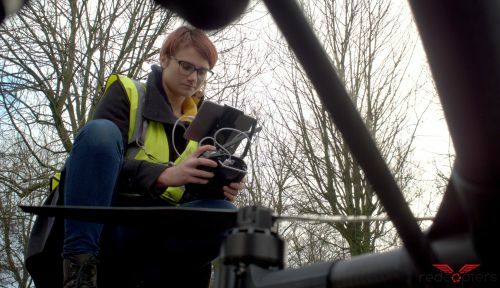 The use of small airborne cameras opens up shots that have not previously possible. Not only that, but now a director can see instantly from the ground what is being filmed, thanks to our live video downlink. It is equally at home 1 metre above the ground, where it becomes a kind of magic dolly, able to pan and slide, and can travel over any kind of terrain (or even water), without needing a track. Rapid set-up of eye-catching shots, free of the constraints of jibs, tracks, dollies and gantries, is now possible.